Do you have a room in your Rochester, NY area home or commercial space that you wish could be warmer during the winter, but lacks the necessary ductwork? If you’re concerned about installing additional ductwork, or if installing it would be difficult, you might want to consider a ductless mini-split heating system from John Betlem Heating & Cooling. 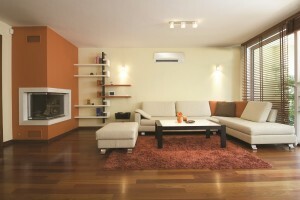 A ductless mini-split heating system is a heating option that can make those spaces more comfortable. Ductless mini-split heating systems provide high efficiency heating that keep spaces that don’t have ductwork just as comfortable as those that do. Ductless mini-split heating systems can be used to balance out cold spots, increase the efficiency of the surrounding spaces, and provide precision temperature control. At John Betlem, you can count on our qualified, skilled technicians to install your ductless mini-split heating system directly on the wall or ceiling of your Rochester, NY home. Our mini-split heating units are designed to blend well with virtually any décor and provide non-obtrusive, quiet heating – so what you’ll notice more than anything else is the improved comfort level of your home. We provide expert installation and can install your ductless heating system in just a few hours, with no patching, painting or ductwork required. Any living or working space without ductwork is likely a good space for ductless mini-split heating. Ductless heating works perfectly in areas like converted attics, new additions, finished basements, sunrooms, older homes, and kiosks and off-hours offices. Learn about how John Betlem can meet the ductless mini-split heating needs of your Rochester, NY home. Improving the heating of your Rochester, NY home is as easy as making a call to John Betlem Heating & Cooling, Inc. We can help you get the ductless mini-split heating system you need so that you and your family can experience the best in home comfort. Simply give us a call at 585.271.8888 and we will be more than happy to help you with any heating service need you may have.